Transfer Your Existing Records to ProCalV5 with ease! 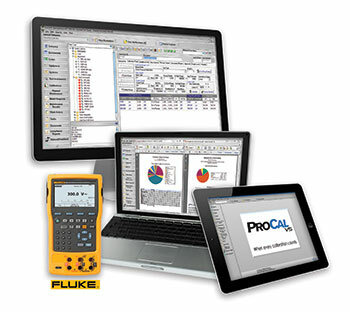 Companies needing more advanced features, large network compatibility or having discontinued software should consider Prime Technologies’ ProCalV5 enterprise-class calibration management software. It’s an easy upgrade from the original DPCTrack, DPCTrack2 or Honeywell Documint software. Most high level asset management solutions (ERP, CMMS, etc.) lack the detail needed to adequately manage instrument calibration activities. End user productivity is typically compromised. ProCalV5 offers critical features that facilitate maximum efficiency and high outcome results. 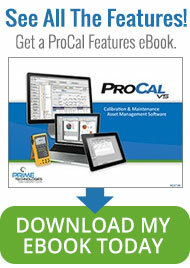 ProCalV5 incorporates all the functions of DPCTrack2/Honeywell DocuMint and more! 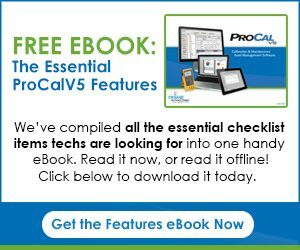 The brochure details the benefits of ProCalV5 calibration software as well as the benefits that ProCalV5 offers over DPCTrack2. We welcome the opportunity to provide a web demonstration or to send you a trial program of ProCalV5 as well. Once your information is submitted you will be redirected to the download page for the upgrade brochure. NOTE: Please DO NOT use Free Web Mail a/c (e.g. yahoo, hotmail, msn). All registration information is strictly confidential and is used only by Prime Technologies, Inc.
Migration from Honeywell Loveland to Procal V5 The migration consisted of 32,000 tags, 10,000 instrument loops, 1000 motors, 1000 relief valves, 19 years of calibration history and a customized test equipment data base. We were quite concerned about the 19 years of history and insuring that it remained intact. We perform calibrations, motor and relief valve pm’s daily, the ProCalV5 engineers provided methodology and tools to make database validation possible, a daunting task with 19 years of history, and helped develop a plan to minimize database down time when switching to the new ProCalV5 database. The ProCal team worked tirelessly to find ways to mimic the functionality that we had built into the customized Loveland database. We were on a strict time table and the ProCal deployment initiative met the milestones which allowed us to stay on schedule. Prime Technologies provided two levels of training, administrator and technician training. The project was a total success. We have had two major outside audits since implementation, the ProCal database and reporting tool greatly contributed to the successful audit. Prime Technologies was extremely supportive before we purchased, during the implementation and now two years after go live. They are very responsive to our requests.